For years we have been inspired by our next special author, Brooke Giannetti. We have stalked her blog, Velvet And Linen for inspiration, shopped at Giannetti Home, admired the teamwork of her and her husband Steve at Giannetti Architects, and read her book, Patina Style over and over again; always amazed at it's incredible style. One has to wonder if there is anything this magnificent designer can't do? Sweet Salvage was beyond overjoyed when Brooke attended our September 2011 French Market Event as our Special Guest, signing copies of her book Patina Style. She is friendly, beautiful and continues to be a great source of inspiration for the whole Sweet Gang. Kim had a fabulous time vignetting a tribute to Brooke's Patina Style. It is a calming mix of soothing palettes, weathered patinas and farmhouse fresh elements. Brook's book Patina Style will be available this month at Sweet Salvage's Chapter 2 Event. When I read in September of 2011 that one of Brooke's stops on her book signing tour was Sweet Salvage I immediately contacted my mother, a local Scottsdale resident. I asked her if she would be interested in attending your event and picking up some signed copies of Patina Style. She became giddy! For years she had been following Velvet and Linen and knew that Brooke and I had become friends. 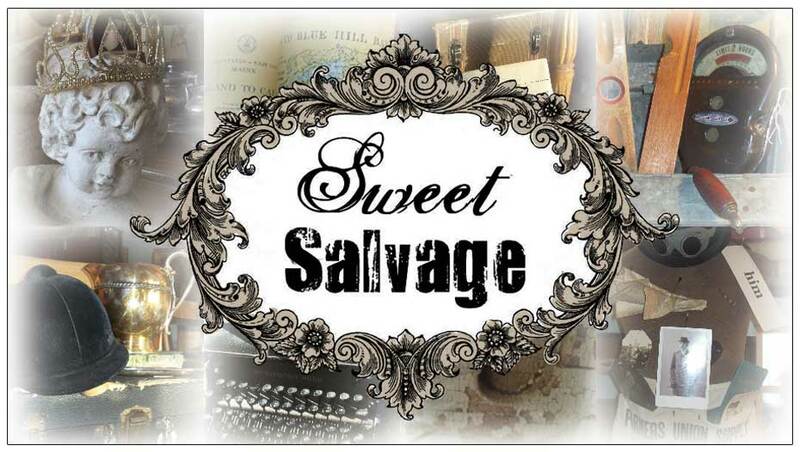 My mother, Nancy, jumped into gear and high-tailed it down to Sweet Salvage. She absolutely LOVES your store! First things first, she waited a short while in the rapidly growing line for Brooke's book signing. When it was her turn, Brooke warmly smiled and introduced herself. My mother instantly knew what I meant when I told her that Brooke was one of the nicest women that I had ever met through blogging. My mom's really special too, she mentioned that I wrote TLPC and Brooke then made the connection. Smiles all around! After gathering her personally signed copies of Patina Style she headed off to explore Sweet Salvage. Like I said, she loved stepping in to your incredible warehouse. She says, "It's an amazing experience and you don't want to leave!" Before she headed back to Scottsdale, she stopped by to say so long to Brooke ~ who was still signing away and visiting with your many loyal Sweet Salvage customers. Brooke got up and gave Nancy a big hug and offered to help her carry all her goodies to her car. That's so very nice. That's so very Brooke Giannetti. I look forward to stopping by next time I'm in town!